Who is the Final Boss of Legion? The following article contains spoilers for the Kil’jaeden defeat cinematic in the Tomb of Sargeras raid. From the moment of Legion‘s announcement, we’ve been wondering who the final boss of the expansion would be. The Avatar of Sargeras and Kil’jaeden were some of the most popular suggestions (I personally leaned towards the Avatar), however both of them have been dealt with in the Tomb of Sargeras raid. Another theory was that we’d be facing Sargeras himself, though that raises the question of how we’d be able to fight a raid boss the size of a planet, both from suspension of disbelief and technical limitation viewpoints. I’ve come up with a different theory, one that’s outlandish enough I can’t say I expect Blizzard to actually go through with it, but one I’d really like to see and think the evidence supports. Read on if you are not bothered by spoilers. The God of the Deep writhes in his prison, breaking free ever so slowly. You should hurry and defeat the fallen titan… there are greater battles yet to fight. Since the moment this quote was first discovered in the World of Warcraft: Legion alpha, I haven’t been able to get the idea that Blizzard might already be teasing expansion seven out of my head. While N’Zoth has been built up as a threat for quite awhile, and is one of the last pre-existing big-name villains we have yet to face, nothing else like the above quote appeared. Until now. With the release of the Emerald Nightmare raid on live servers yesterday, we’ve seen the full dialogue for the Il’gynoth boss fight. After looking through Il’gynoth’s quotes, not only am I confident in the old Xal’tath whisper as being a hint towards something greater, but I’m starting to think we may know how Legion will end and the next expansion might begin. Following the newest build of the patch 6.2. PTR, I returned to Ashran to see if any new lore about the artifact had been added. There hasn’t been, but the new Ashran Excavation area has been heavily modified and looks much better than during our last look at it. Read on for the full preview. Welcome back to this screenshot tour of the new areas in patch 6.2. on the PTR. 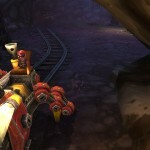 Today we’ll be looking at the strangely unmentioned by the patch notes new world PVP area: Ashran Excavation. [SPOILERS and SPECULATION] Who is Cho’gall’s Master, and what does it bode for Draenor? A burning question has resonated in the minds of many, especially myself, since Warlords of Draenor’s unveiling: how will the expansion’s story progress and conclude? The prospect of how Warlords of Draenor storyline comes to a close is still a mystery. By all accounts, all that we know for sure pertaining to WoD’s conclusion and final raid tier is the following: Grommash Hellscream will be involved with the final encounter, and it will be heavily Legion themed. 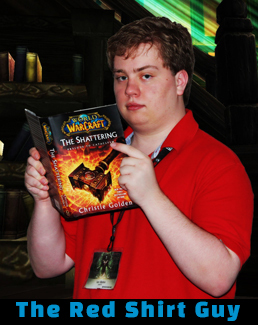 Aside from this tidbit shared by Tom Chilton, what happens upon Draenor post-6.0 is a complete mystery. 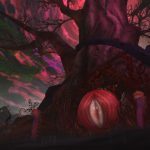 The single plausible route to formulating what will play out next in WoD is speculation, and the recent slaying of Mythic Imperator Mar’gok surprised many with a new development in the lore. 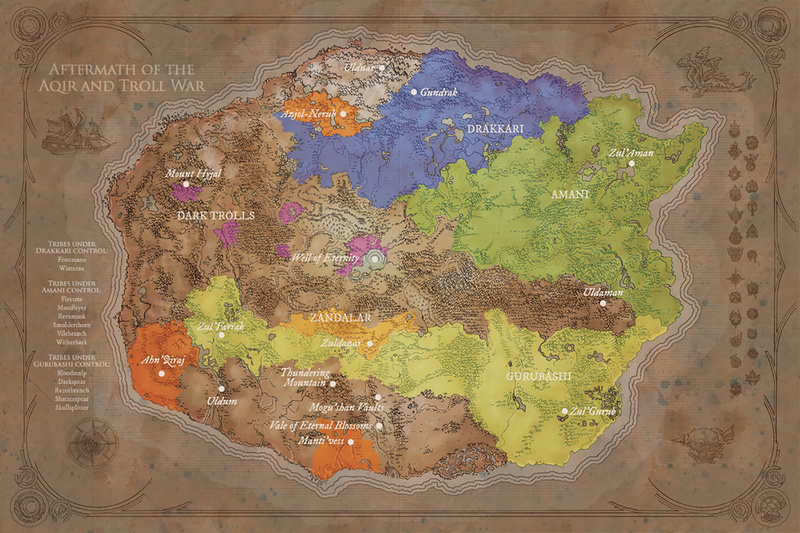 A big surprise has been unearthed in the Warlords of Draenor alpha. A youtube poster known only as “WoDBeta” has uploaded a video of the quest “All is Revealed” in Frostfire Ridge. The quest has players use an “all-seeing eye” created by Khadgar to spy on Gul’dan and the Shadow Council. Gul’dan is seen accompanied by his usual accomplices Cho’Gall, Teron’gor and Giselda the Crone. However a fourth ally can be seen standing next to Gul’dan, his appearance obscured by shadows.